What is the curved surface area of the cone? 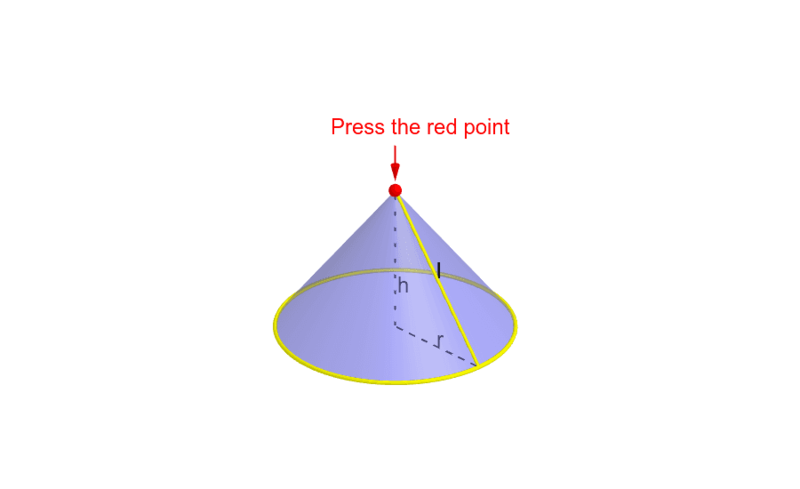 Press the red point in the figure. See http://ggbtu.be/m161406 to find the curved surface area.